The weekend is upon us, which means that we have yet more wonderful savings for you to take advantage of. The tech deals section is all about presenting you with wonderful hardware and accessories, each of which has a discount applied to it so that you can get it without having to pay full price. 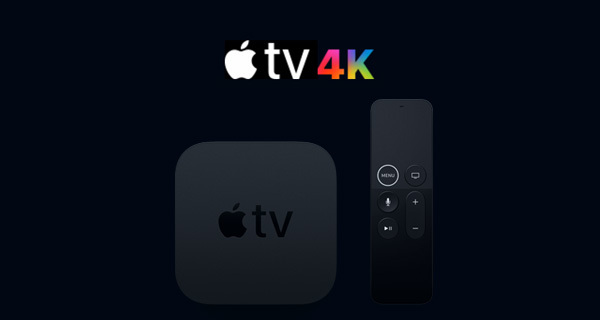 Starting off, we are looking at the amazing Apple TV 4K 32GB coming in with a $34 discount. Next up is an Apple Watch + iPhone stand / charging station for just $15. How about the Galaxy S8+ with a huge $200 slashed off? Or perhaps a nifty little wireless charging stand for the iPhone? Find a deal which suits you, get it in your basket, and buy it quickly before the deal expires. 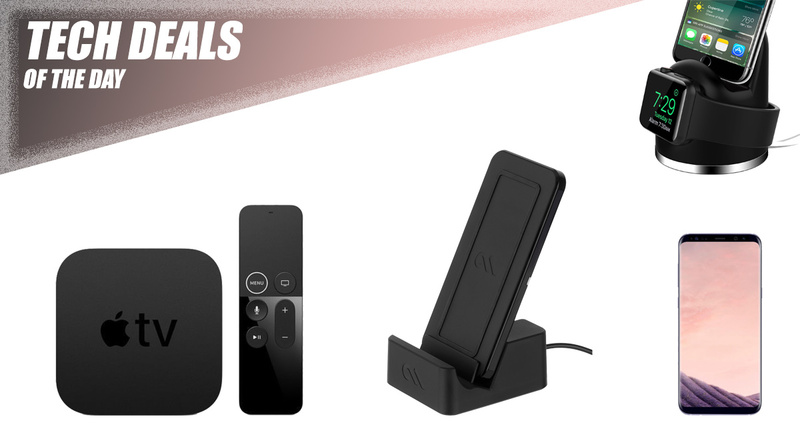 This deal is for Apple’s latest Apple TV hardware, which means that you are going to get the full 4K+HDR goodness that Tim Cook’s company has introduced with this latest hardware. The hardware also comes with the excellent Siri remote which can be charged through a Lightning cable as well as 32GB of internal storage for the installation of apps and games. It’s likely that we won’t see an Apple TV upgrade for a while so this will be the latest hardware for the foreseeable. 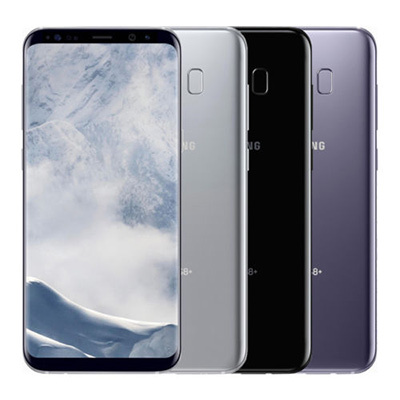 If you aren’t an iPhone type of person and want something powered by Android, then you really need the S8+ in your life as it doesn’t involve paying out for a brand new S9 or S9+. This Android-powered hardware is going to get you a phone with built0in 64GB of internal storage and all of the reliability of a Samsung device. 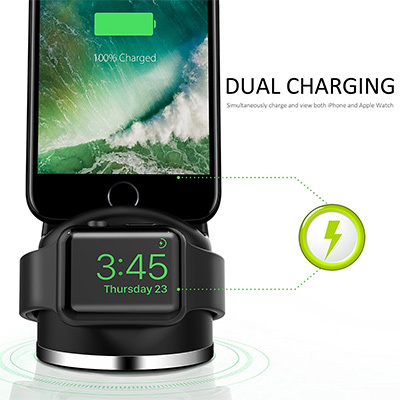 If you are looking for a little lightweight stand that will accommodate your Apple Watch as well as hold an iPhone in place, then this is it. This is literally a lightweight and compact accessory that will perfectly accompany your existing hardware. 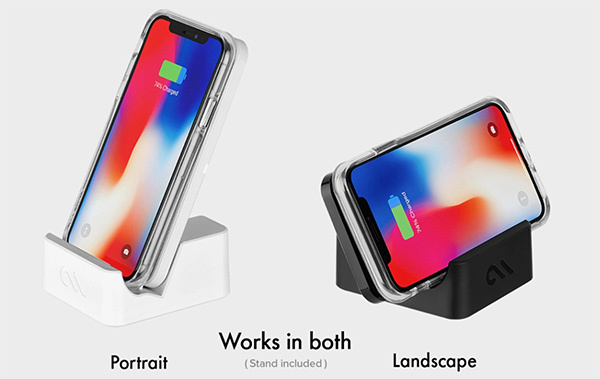 Best of all, you can grab this stand for only $15 using the following promo code at checkout: 25XQW32S. Apple may not have invented wireless charging but the company has certainly made it more popular with the release of iPhone 8, iPhone 8 Plus, and iPhone X, all of which are Qi-compatible. That means that excellent accessories like this Case-Mate offering, which offers Fast wireless charging, have become extremely popular. This particular wireless charger also works with both portrait and landscape orientation as shown in the image above. You can save an extra 10% by checking on “Coupon” button on the listing page before adding to the cart.